Jason 1.00 is an integrated graphical frontend to the Hercules S/370, ESA/390 and z/Architecture Emulator. What, you haven’t heard of Hercules before? 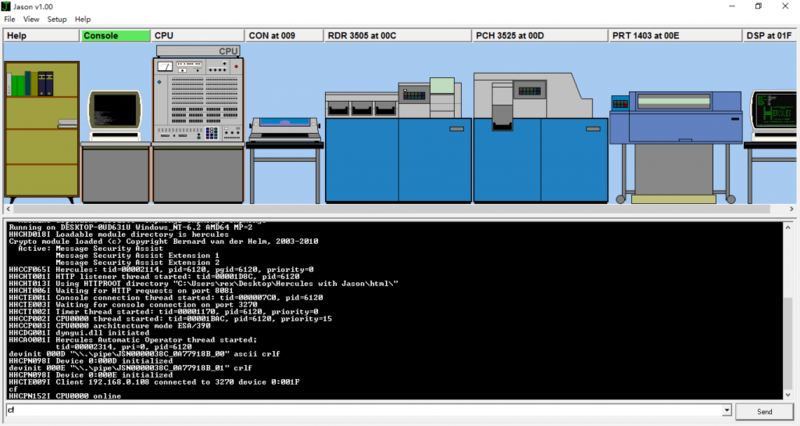 It’s a masterpiece that emulates IBM mainframes, from old good IBM System/360 and up to the modern z Series… No, it has nothing to do with IBM compatible… No, it can’t emulate Xbox 360… Oh, you are asking what a mainframe is? Then probably you don’t need Jason.